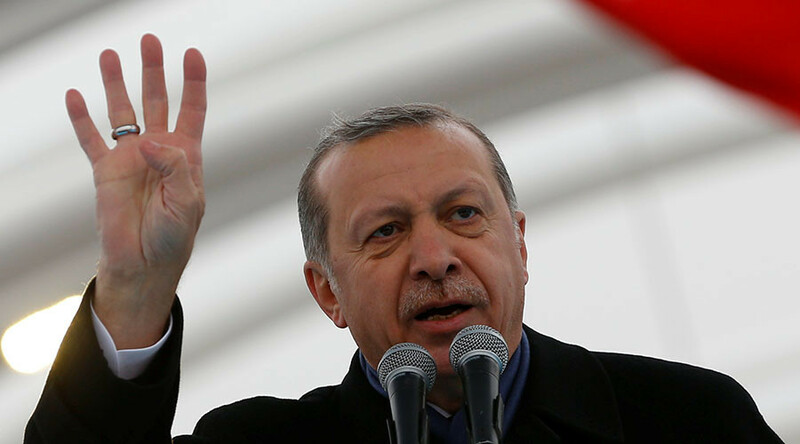 Turkish President Recep Tayyip Erdogan has once again accused the US of “supporting terrorists” in Syria. 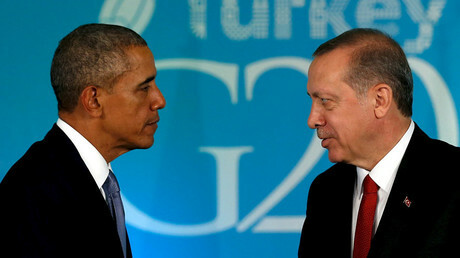 The leader said Washington should instead be supporting Turkey, as it is a fellow member of NATO. He said that although Turkey has been calling on Western countries not to make any distinctions among terrorist organizations, “some countries, primarily the United States, have been supporting the terrorist organizations who massacre the innocent in the region,” Turkish Minute reported. The president's statements aligned with those made by Turkish Foreign Minister Mevlut Cavusoglu, who said on Thursday that it is “clearly known” that the US had fed supplies to the Kurdish People's Protection Units (YPG), which Ankara considers to be a terrorist group. “We're mindful, of course, of some of the tensions that exist obviously between these Turkish-supported forces and the YPG and other forces that we've been supporting in that area, and those are tensions – again, that's the reason why we're working closely, having these discussions, and trying to coordinate with them,” Toner said during a Tuesday press briefing. Erdogan's Tuesday statements came as he accused the US-led coalition of “failing to keep its promises" of pledging air support in the operation to liberate Al-Bab, a northern Syrian town which Kurdish groups have also been trying to seize, from IS. Al-Bab lies south of the 20km buffer zone that Turkey initially said it wanted to establish when it launched Operation Euphrates Shield at the end of August. Taking it would advance Ankara’s objective of separating the Kurdish-held territory in Afrin from the US-backed Kurds in Manbij and Kobani.